How to Reach: One can hire local transport like a taxi or a bus from Poinguinim, the nearest town that is 2 kilometers away. The Cotigao wildlife sanctuary is located in the Canacona district in south Goa. This sanctuary was established in the year 1969. It covers an area of 86 square kilometers and is the second largest sanctuary in Goa. 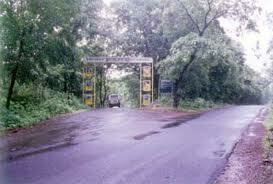 To reach the Catigao national park, you will have to hire a vehicle of your own and reach from nearby places in south Goa. One can watch the animals from the 25 meter high watchtower that is located near the Talpona River that flows through this sanctuary. The animals come to this river often to quench their thirst and can be viewed around evening or early morning. The sanctuary also houses a Nature Interpretation Center that provides fascinating and valuable information about the wildlife here. The Cotigao sanctuary of Goa has a thick cover of vegetation. There are basically three types of vegetation that is found over here that includes moist deciduous (dominant vegetation), semi-evergreen and evergreen forests. The lush and thick vegetation growth provides natural shelter to a plethora of animal and bird species. The Cotigao wildlife sanctuary has numerous species of wild animals. These species include sloth bears, deer, wild boars, panthers, laughing hyenas and Indian Bisons. There also a number of bird species here, the most popular ones to be spotted are Rufus Woodpecker, white-eyed eagle, Malabar crested eagle, White bellied woodpecker, etc. Apart from animals and birds, there are also a vast number of reptiles that include poisonous and non-poisonous snakes.